Whether you’re looking to build muscle, tone-up or lose weight, getting the right amount of protein is super-important. Our Protein Wafers are packed with 15g of protein, that helps to grow and maintain important muscle1 — vital for all fitness goals. And, there’s a range of mouth-watering flavours — including Chocolate, Chocolate Hazelnut, Cookies & Cream, Peanut Butter, Strawberry and Vanilla. 2. 60% less sugar and 20% less fat than supermarket wafers. When to enjoy Protein Wafers? Any time you feel the call of sugar cravings! These protein-packed snacks can be taken with you wherever you go. What to enjoy Protein Wafers with? Enjoy with a cup of Protein Mocha — our great-tasting hot drink that delivers over 15g of protein, with 10% real instant coffee — for that all-natural taste. Once the wrapper has been opened, consume on the same day. Store in a cool dry place away from direct sunlight. Allergens: For allergens, including cereals containing gluten, see ingredients in bold. May also contain nuts. Chocolate Hazelnut Flavour: Protein Blend Mix (Milk Protein, Hydrolysed Gelatine), Wheat Flour (Fortifying Agents: Calcium Carbonate, Iron, Niacin, Thiamin), Palm Oil, Sugar, Fructose, Cocoa Mass, Cocoa Butter, Skimmed Milk Powder, Emulsifier (Soy Lecithin), Flavourings, Milk Fat, Pea Protein, Soy Flour, Sunflower Oil, Salt, Raising Agent (Sodium Bicarbonate), Sweetener (Sucralose), Corn Flour. Peanut Butter Flavour: Protein Blend Mix (Milk Protein, Hydrolysed Gelatine), Wheat Flour (Fortifying Agents: Calcium Carbonate, Iron, Niacin, Thiamin), Palm Oil, Sugar, Fructose, Cocoa Butter, Skimmed Milk Powder, Cocoa Mass, Emulsifier (Soy Lecithin), Flavourings, Milk Fat, Pea Protein, Soy Flour, Cocoa Powder, Salt, Raising Agent (Sodium Bicarbonate), Sweetener (Sucralose), Corn Flour. 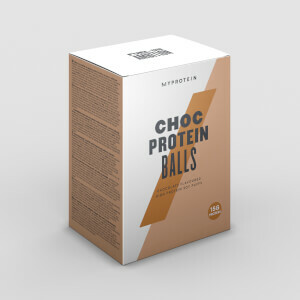 Cookies & Cream Flavour: Protein Blend Mix (Milk Protein, Hydrolysed Gelatine), Wheat Flour (Fortifying Agents: Calcium Carbonate, Iron, Niacin, Thiamina), Palm Oil, Sugar, Fructose, Cocoa Butter, Skimmed Milk Powder, Flavourings, Cocoa Mass, Emulsifier (Soy Lecithin), Whole Milk Powder, Milk Fat, Pea Protein, Soy Flour, Sunflower Oil, Whey Protein (Milk), Salt, Raising Agent (Sodium Bicarbonate), Sweetener (Sucralose), Corn Flour. Vanilla Flavour: Protein Blend Mix (Milk Protein, Hydrolysed Gelatine), Wheat Flour (Fortifying Agents: Calcium Carbonate, Iron, Niacin, Thiamin), Palm Oil, Sugar, Fructose, Cocoa Butter, Skimmed Milk Powder, Cocoa Mass, Emulsifier (Soy Lecithin), Pea Protein, Soy Flour, Milk Fat, Flavourings, Sunflower Oil, Salt, Raising Agent (Sodium Bicarbonate), Corn Flour, Sweetener (Sucralose). Strawberry Flavour:Protein Blend Mix (Milk Protein, Hydrolysed Gelatine), Wheat Flour (Fortifying Agents: Calcium Carbonate, Iron, Niacin, Thiamin), Palm Oil, Sugar, Cocoa Butter, Fructose, Cocoa Mass, Skimmed Milk Powder, Milk Fat, Emulsifier (Soy Lecithin), Flavourings, Pea Protein, Soy Flour, Sunflower Oil, Colour (Beetroot Red), Salt, Raising Agent (Sodium Bicarbonate), Sweetener (Sucralose), Acid (Citric Acid), Corn Flour. Chocolate Flavour: Protein Blend (Milk Protein, Hydrolysed Gelatine), Wheat Flour (Fortifying Agents: Calcium Carbonate, Iron, Niacin, Thiamin), Palm Oil, Cocoa Mass, Sugar, Fructose, Emulsifier (Soy Lecithin), Cocoa Powder, Cocoa Butter, Pea Protein, Soy Flour, Milk Fat, Flavourings, Sunflower Oil, Salt, Raising Agent (Sodium Bicarbonate), Corn Flour, Sweetener (Sucralose). Servings Per Container - Each pack contains 10 serving. Protein enriched wafer with a flavoured filling, sugars and sweetener. I'm a man of advancing years, and I've gobbled a fair few wafers during my days as a kiddy wink playing hopscotch. Most of them tasted like my grandma's incontinence pants sandwiched between two pieces of sandpaper. 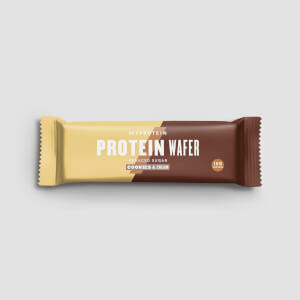 For this reason when I read of a new 'protein wafer' it took me back to the days when Fingers Wilson used to put bogeys in my sarnies to improve their 'protein' content - I was dubious. I opted for vanilla as this is my favourite flavour of soap and waited for the Myprotein timemachine, which somehow gets the products to my house before I order them. When they arrived, I slowly nibbled the edge of one of these square little bad boys. MAMMAMIA! The taste was like making love to a beautiful women...who was feeding me a protein wafer (if there is a women like that reading this - I have the rest of the box left and my mum is out working the streets - come round. No SERIOUSLY!) Myp you have done it again - all I need now is a girlfriend to share my new one pack abs and 10" biceps. I'll even throw in the wafers. I bought these with a 40% off code, so they were quite a bit cheaper than usual. 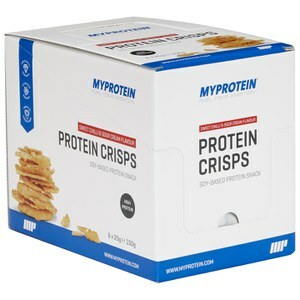 They taste fantastic, a real high protein treat.....but they are just far too expensive for me to buy regularly. Please reduce the price MP, I would buy them all the time then! These are great! They don’t taste artificially sweet like some other protein snacks do. The best way to describe them is similar to a kinder bueno, you get two wafer squares per pack so they are great for satisfying a sweet craving. Only small downside is they are a little messy to eat! Everything! A pint of milk. I enjoy it with the orange protein cookie as the flavours combined literally dance on my tongue. I don't know what I would do if you actually discontinued them. I can't get enough of them! The taste is soo nice and the texture is exactly what I expected it to be. I need more! Love those. Before buying I saw the wafers in my instagram :) yeah, quite a few were very found of the wafers, so I decided to give it a go and love them absolutely! Good taste, right amount for a snack and easy to take everywhere. Tea and coffee and on its own as a snack. These have a great choc flavour, they really take care of the sugar cravings & fill me up at the same time. They give me what I need to make sure I can have a great workout. 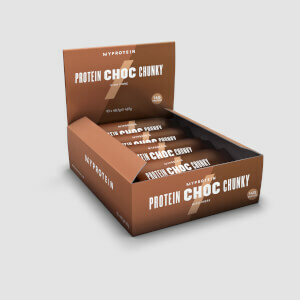 Would love if myprotein did a mixed box of the 3 flavours.